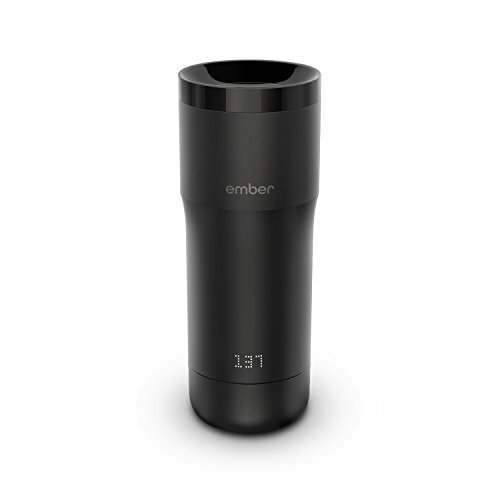 Ember Temperature Controlled Mug - Moar Stuff - You don't need it but you know you want it. 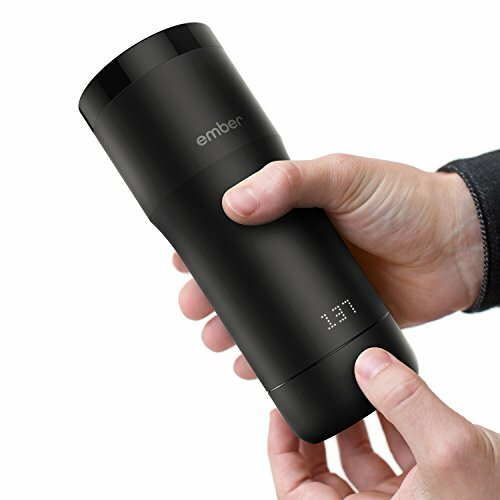 The Ember Temperature Controlled Mug is great for enjoying your favorite hot beverage at exactly the temperature you like it. It rapidly heats or cools your drink to the temperature you choose. It can be controlled on its own or through a free app on your phone or smartwatch. 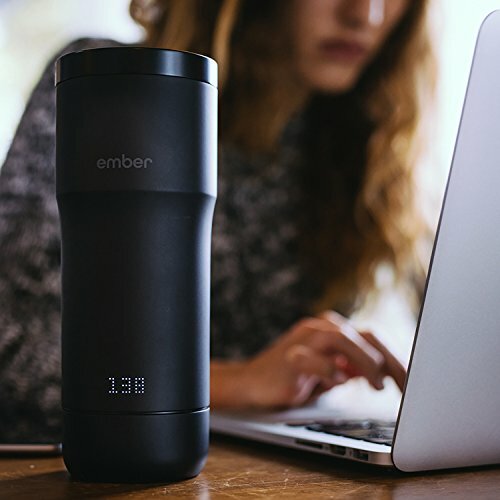 The Ember Temperature Controlled Mug allows you to name it, create temperature presets, choose notification preferences, and much more. 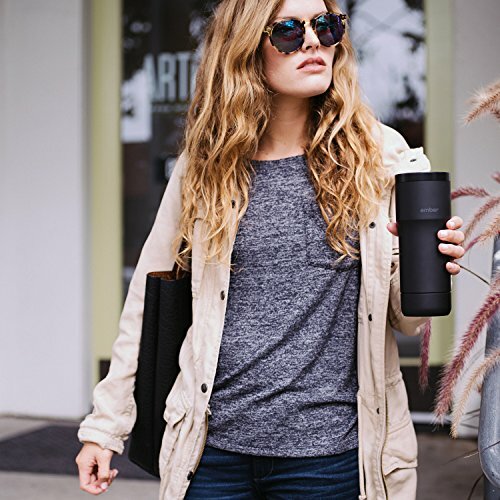 The Ember Mug uses seven temperature sensors, a rapid cooling system, a microprocessor-controlled heating system, temperature settings and presets to control the exact temperature of your drink. It has a push-to-open leak-proof 360˚ lid and comes with a charging coaster to keep the battery topped off. It also has a cool little temperature display as well. Many people think that this is a simple battery heated mug like the Jul. That’s not an unreasonable assumption since you do, after all, have to charge the battery. However, that’s not the case at all. The battery is really just for the on-board micro-controller, Bluetooth, and LED display. What really happens to keep your coffee warm is much more interesting. The mug walls have something called a Phase Changer Material (PCM). This material captures heat from the coffee and stores it in the PCM. The material starts out in a waxy form and liquefies as it absorbs heat. This fairly quickly cools the coffee down to the desired temperature, but in the process the PCM becomes a heat storage “battery”. Once the coffee cools to the set temperature between 120°F and 145°F, the mug senses this and extracts heat from the PCM “battery” to maintain the temperature rather than directly heating the coffee using normal battery power. Basically, the hotter the initial temperature, the more storage capacity in the PCM “battery”, and the longer it can maintain the coffee at the desired temperature. 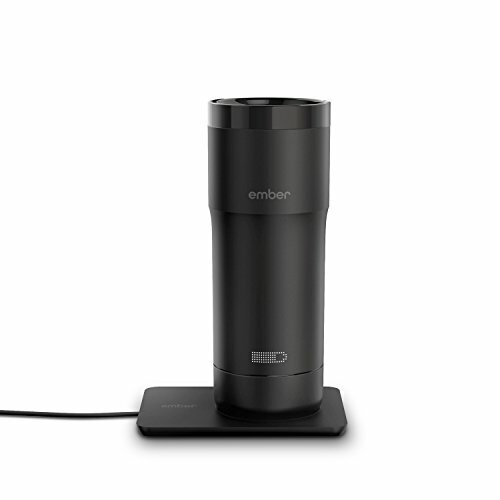 The Ember Temperature Controlled Mug will not warm up cold coffee and make it piping hot. So, for best results, transfer your coffee from the coffee pot to the mug as quickly as possible. If you have a Keurig or a Pour Over One-Cup Brewer, have it pour the coffee directly to the Ember mug. It will keep your coffee at the perfect temperature for around 3 hours which is plenty of time to drink it. After that, it will act like a normal insulated mug and it will start cooling off slowly. Oh, and of course, it’s also great for tea as well as coffee. Dimensions: 3.1 x 3.1 x 8 inches. 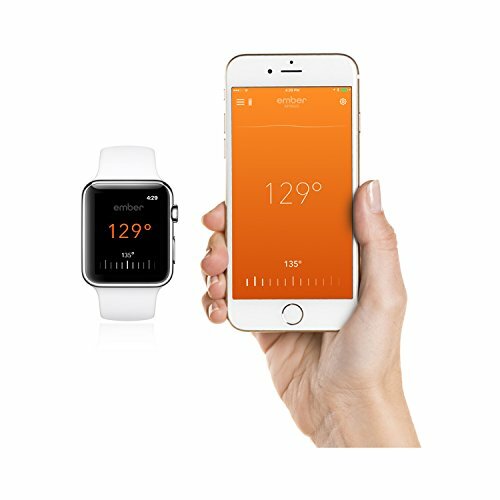 Temperature Range: 120°F and 145°F. Keeps your drink at the perfect temperature for about 3 hours. Great for both coffee and tea.